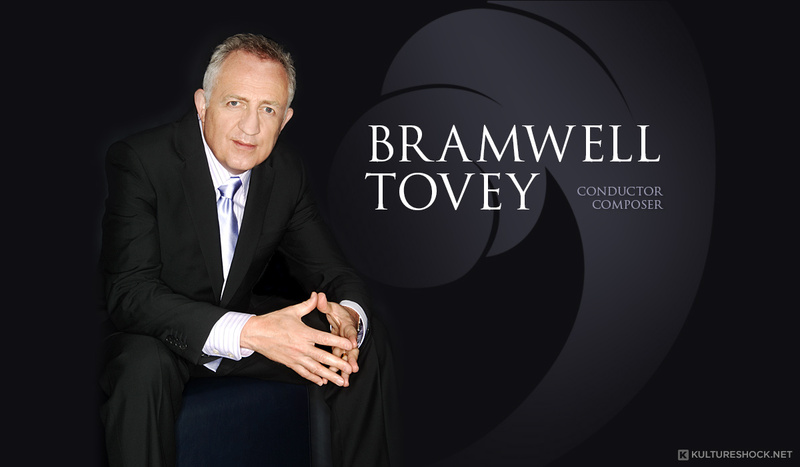 We are so happy to introduce the new website for Grammy Award-winning Maestro Bramwell Tovey! I’ve had the pleasure of working with a number of great conductors over the years, but I’ve seldom met a more complete musician or a more inspiring visionary. It was a joy collaborating with him on his new website and we’re truly honored he chose KultureShock.Net. Maestro Tovey is a Grammy Award-winning conductor, a Juno Award-winning composer, an outstanding pianist and harpsichordist, and plays amazing jazz! He is Music Director of the Vancouver Symphony Orchestra, Principal Guest Conductor of the LA Philharmonic at their famed Hollywood Bowl, a frequent guest conductor of the New York Philharmonic and host of their Summertime Classics festival at Lincoln Center. He is also founder and Artistic Director of the new state-of-the-art VSO School of Music and we’re proud to be his dedicated web team! You can also connect with Maestro Tovey on Twitter, and on Facebook. Last Friday, we heard him conduct the Vancouver Symphony in Mahler’s extraordinary Fourth Symphony out at the Chan Centre. It was a masterful performance, the nearly impossible transitions seamless, and each section of the bizarrely distorted and disjointed structure of this unique symphony was exquisitely elucidated, lovingly nourished and teased out. But what really blew me away was the first half, and in particular la Serenata Notturna, Mozart’s Serenade No. 6 in D Major. I’ve had a life-long love of chamber orchestras, having played in many at UVic and up at the Courtenay Music Festival, and creating one — the Victoria Chamber Orchestra — my last year there. I also played in the core orchestra of the Victoria Symphony, and when we went on tour it was with a chamber-sized orchestra: 6 first violins, 4 seconds, 3 viola, celli and 1 bass plus winds. That was all that would fit into the two small planes that carried us through the narrow mountain passes into Bella Bella, one of our first stops. Later at Columbia Artists, I was responsible for producing North American tours for the Vienna Chamber Orchestra, Stuttgart Chamber Orchestra, Prague Chamber Orchestra, Sinfonia Varsovia, I Solisti di Zagreb and the Guildhall Strings from London. I know that repertoire, and the very best performances of it, better than any other. To hear a full symphony orchestra scale down to perform those works is seldom rewarding. Yet what we heard last Friday was one of the most perfect, most beautiful performances of a Mozart chamber work I’ve ever heard, whether at Carnegie Hall or any other. They brought so much personality to that piece I know so well, more than I’ve ever heard imbued, and so much humor, as though Mozart himself were there on stage tweeking his nose at the pretension of his gilded age, that I repeatedly laughed out loud, as did the rest of the audience. And Bramwell? There he was at the centre of it all conducting from the keyboard of a harpsichord, yet another amazing aspect of this Renaissance man we get to call Music Director of our orchestra, making chamber music with his colleagues, collaborating, literally playing with them and they with him. I can’t really do it all justice in words. Music is its own language after all, and being there was in this case the only way to truly understand what I’m having trouble describing adequately. But I can say this: Bramwell Tovey is a musical genius, self-deprecating as his humor can be, as unassuming as he is, but he is a genius nonetheless and I feel lucky to get to hear him and the extraordinary musicians of the brilliant orchestra he has created make music as they did on that night!